The mosque was built in 14th century by Mahmud Begada in the memory of Rani Rupavati who was his begum. Among all the things the place is known for, it is its architecture that holds the major importance. The beautiful domes complemented by slim and long minarets provide its imposing figure with an elegant touch which is very admirable and soothing to eyes. The interiors of this place are no different either. The galleries of the mosques are adorned with various intricate carvings reflects its spiritual essence and propel one to stop by for a whole lot to take in. A beautiful melange of two cultures, the mosque represents the unified endeavours of the renowned architects of that time. A must visit in Ahmedabad. Wear modest clothing and cover your heads. 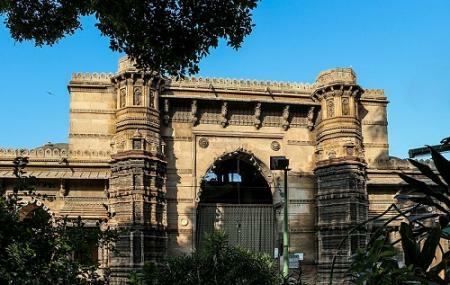 How popular is Rani Rupavati's Mosque? People normally club together Nc Mehta Gallery and Conflictorium while planning their visit to Rani Rupavati's Mosque. People also prefer to start their day with Rani Rupavati's Mosque.